Master your fitness with custom gym workout plans and nutrition plans from the #1 Pocket Personal Trainer App. • Progress through the levels and see real results! • 7 day free trial with monthly subscriptions! Subscriptions auto-renew within 24 hours before the subscription period ends. You will be charged through your iTunes account. Your subscriptions can be managed in Settings. When we say we are "Your Pocket Personal Trainer", we mean it! Now you can chat to our team using the Live Chat feature for any fitness, nutrition or tech support! Excellent app and great for beginners! The MasteredFit app has been a great little personal trainer for me. I was at the gym roughly 5/6 months before I downloaded it, I’d be walking the gym with a slight idea of what to do but ever since downloading the app I’ve definitely been going in a better direction. I’ve been using the app for around 2 months now and been seeing better results in quicker time. You can structure your workouts so that they are all based on the information and lifestyle that you input and once done you have your weekly workouts planned out for you with the goal of getting to the next level for slightly harder workouts. This is definitely a way of reaching goals quicker. Also for each workout you do, if you’re r ever unsure of what you are doing with a certain exercise there are full videos explaining each technique and muscles being used. I won’t lie I’ve had 1 or 2 issues with the app but the customer service has been excellent with quick responses through the Facebook messenger app and quick updates to fix any errors and also a few freebies as an apology which are always welcome. Great app! Best app for my training I have used yet! Every level you complete it different so your not doing the same routine every time, it’s helped me so much very happy with my results I am getting! 100% advise anyone to download this app if you are looking to bulk! Loses weight! Or even just to keep your self in shape! All you need to do if enter a few details such your heigh and weight, how active you are through the day and if you are looking to bulk, loose weight etc and it will plan your training for you such as how many sets, how many reps and also tempo! And if your unsure how to do the exercise they also show you how to do the exercise by showing you a video on Exactly what you need to do! One more other thing to add is there customer service and technical team are great, any problems let them know they will sort the problem out for you! I had a small problem with app and they sorted it out within 5 mins! I’ve been going to the gym on and off for about 5 years now and realised my legs were not up to scratch with the rest of my body. I downloaded the MF app and it had many exercises which shows you in great detail how to perform the exercise with the right form. I incorporated some of these exercises into my workout twice a week and saw a big difference. My legs not only got very toned but also worked on my abs looking at the detailed videos on the MF app. 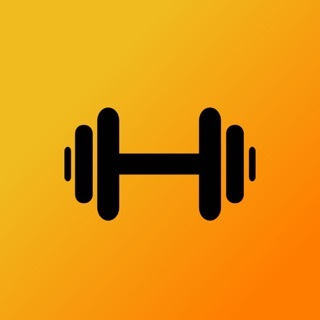 It’s a great app to help you with your fitness goals. Very user friendly, have recommended it to all my family and friends. Thank you MF.